Nail Colour Baby Pink 05 High shine / Long-lasting Myrrh & oligoelements nail colour ..
Nail Colour Base Coal Protection / care Provitamin b5 & oligoelements base coat K..
Nail Colour Blueberry 89 High shine / Long-lasting Myrrh & oligoelements nail colour ..
Nail Colour Coral 45 High shine / Long-lasting Myrrh & oligoelements nail colour K..
Nail Colour Coral Hibiscus 44 High shine / Long-lasting Myrrh & oligoelements nail c..
Nail Colour Coral Pink 43 High shine / Long-lasting Myrrh & oligoelements nail colour ..
Nail Colour Coral Red 48 High shine / Long-lasting Myrrh & oligo elements nail colour ..
Nail Colour Cyclamen 23 High shine / Long-lasting Myrrh & oligoelements nail colour K..
Nail Colour Dark Brown 69 High shine / Long-lasting Myrrh & oligoelements nail colour ..
Nail Colour Dark Red 59 High shine / Long-lasting 0,37Fl. Oz.11mL Myrrh & oligo..
Nail Colour Deep Red 57 High shine / Long-lasting 0,37Fl. Oz.11mL Myrrh & oligo..
Nail Colour Green 90 High shine / Long-lasting Myrrh & oligoelements nail colour K..
Nail Colour Light Grey 94 High shine / Long-lasting Myrrh & oligoelements nail colour ..
Nail Colour Lilac 25 High shine / Long-lasting 0,37Fl. 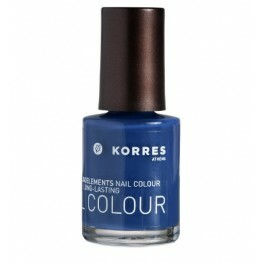 Oz.11mL Myrrh & oligoele..
Nail Colour Midnight Blue 88 High shine / Long-lasting 0,37Fl. Oz.11mL Myrrh &am..
Nail Colour Pastel Lemon 34 High shine / Long-lasting 0,37Fl. Oz.11mL Myrrh &..
Nail Colour Pastel Rose 06 High shine / Long-lasting 0,37Fl. Oz.11mL Myrrh & ol..
Nail Colour Peony Pink 04 High shine / Long-lasting 0,37Fl. 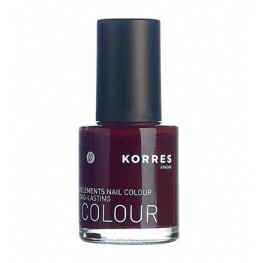 Oz.11mL Myrrh & oli..
Nail Colour Pomegranate 14 High shine / Long-lasting 0,37Fl. 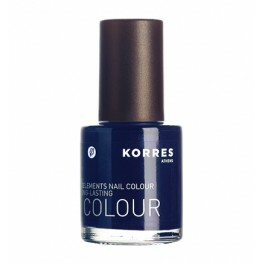 Oz.11mL Myrrh &..
Nail Colour Purple 27 High shine / Long-lasting 0,37Fl. Oz. 11mL Myrrh & oligoelements n..